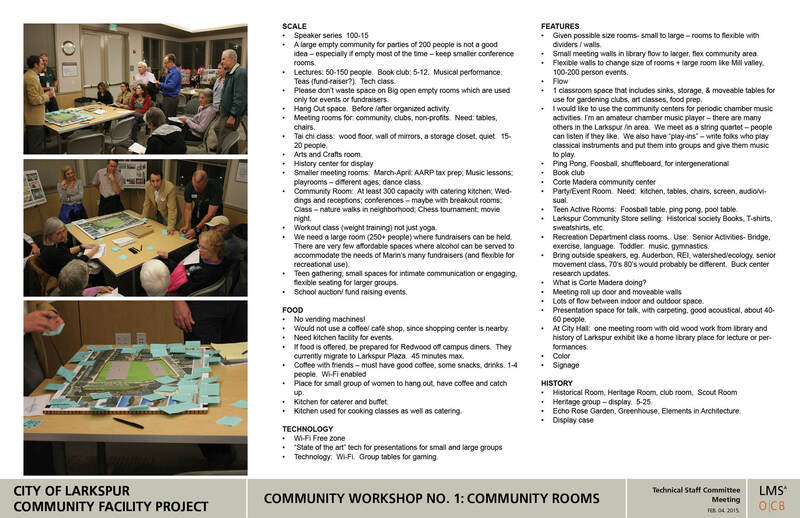 The first Community Workshop was held on January 29, 2015 and was well attended by approximately 50 Larkspur residents. The focus of the meeting was to understand how community envisioned their day to day use of a new Library & Community Center. The City Staff and Consultant team presented an overview of the Community decisions developed during he Master Plan process. These decisions are the starting point for the design effort. 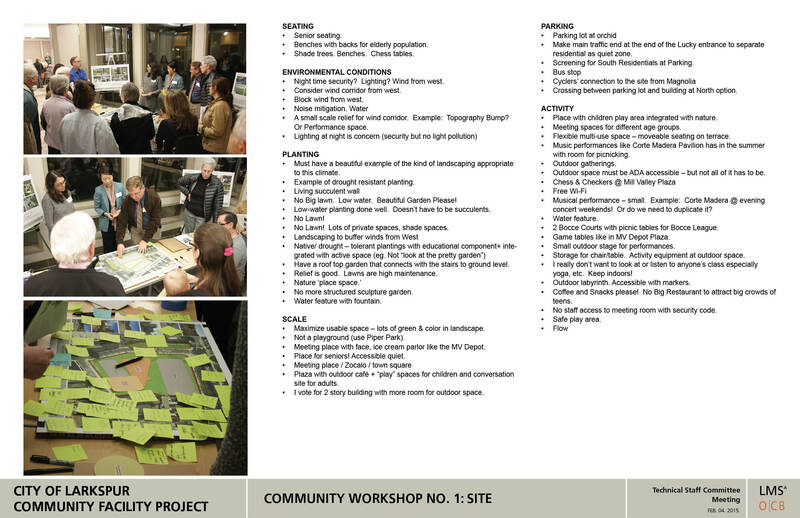 The attendees visited three stations, a Library Station, Community Rooms Station and Site Station and discussed ideas for how they envisioned each area would be used by the Larkspur Community. The ideas were recorded and are summarized in the slides below. This Summary slide provides an overview of common comments that were repeated by the attendees at the Workshop. 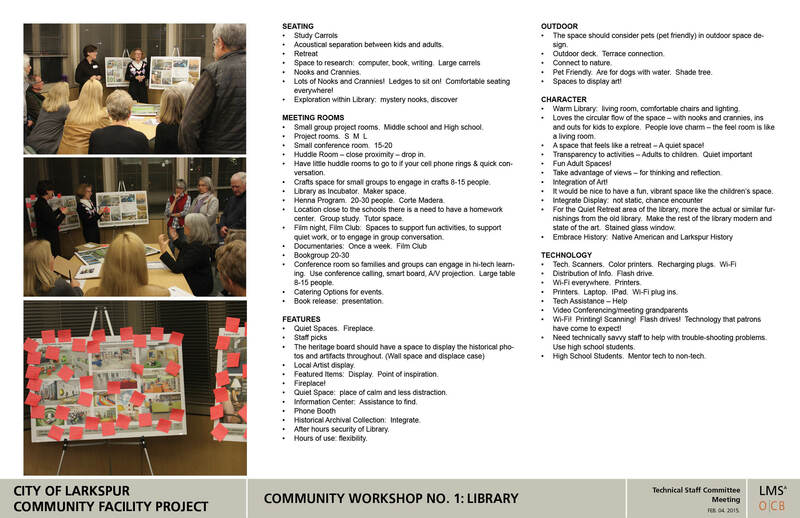 This Library slide provides an overview of public comments regarding the Library that were provided by attendees at the Workshop. 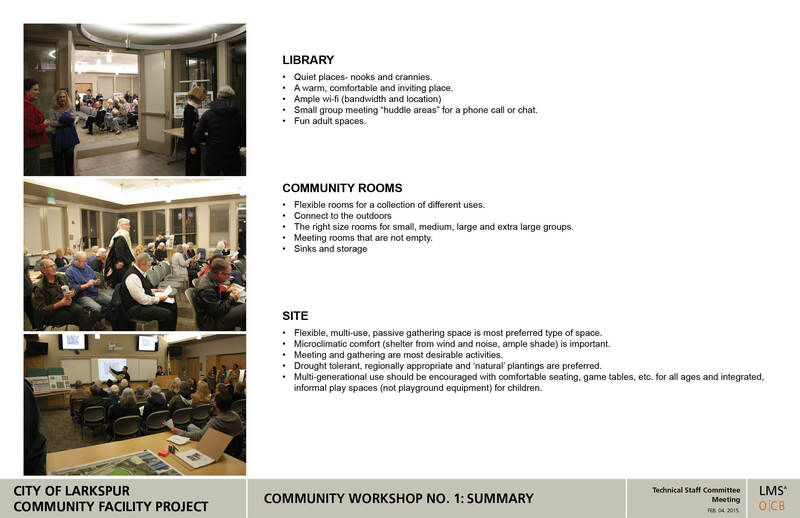 This Site slide provides an overview of public comments regarding the Site that were provided by attendees at the Workshop. It is not too late to provide your comments and input for Workshop #1. Below are links to the powerpoint presentation, presentation Boards, Summary Information handed out to attendees and a "Week in the Life" comment form that you can fill out with your thoughts and ideas and send to us.